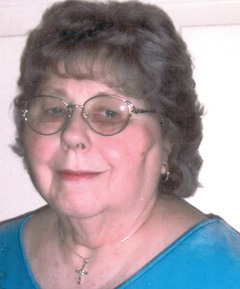 Cleola Fern Stieferman, 84, of California, MO passed away Thursday, September 17, 2015 at California Care Center. She was born November 23, 1930 daughter of Ashel and Ruth (Eyman) Ferguson in Versailles, MO. Cleola was Baptized at Tipton Baptist Church, she enjoyed reading and listening to country and gospel music. She loved spending time with family and friends and would often treat them to her wonderful cooking. She is survived by five daughters, Vickie Stephens, Janan Johnson, Brenda Cram (Donald), Gail Parker (Ed), of California, MO and Dixie Garrett (Tony) of Washington, MO. One brother Donald Ferguson of Warsaw, MO and one sister Betty Wilkerson of South Carolina.,12 Grandchildren, 28 great-grandchildren and one great-great grandchild. She was preceded in death by her parents, one sister Virginia Potter and a son in law Danny Johnson. Funeral services will be held on Monday, September 21, 2015 at 11:00 am at the Phillips Funeral Home Chapel in California. Visitation will be also on Monday from 10:00 am until service time. Burial will be in the Tipton Masonic Cemetery, Tipton, MO. Memorials are suggested to the Shriner’s Children’s Hospital or St. Jude’s Children’s Hospital.